New Trainings Available for Pulse Users | focusIT, Inc. If you’re a Pulse user, first off, thanks for being apart of our focusIT family! We feel honored to have you along for the ride. If you’re not + want to learn more about how you could increase your profit and save hundreds of hours per year, you can take a peek here or schedule a demo with a rep, here. 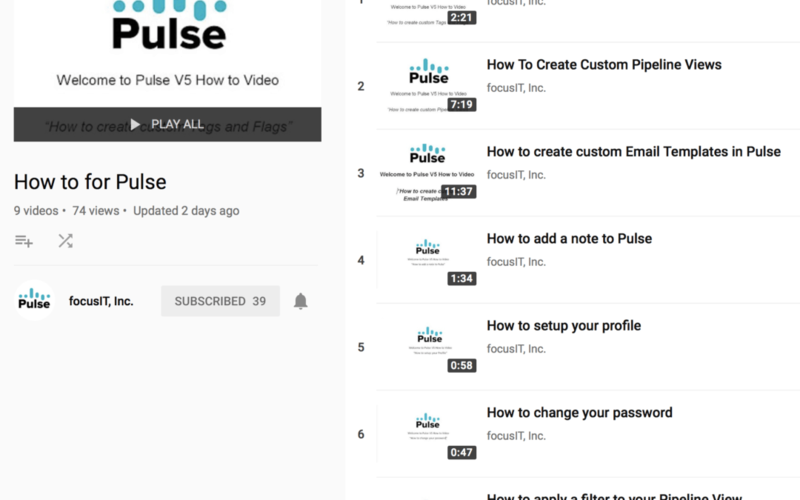 For our Pulse tribe, we have new trainings up on our YouTube channel that you can watch, here.